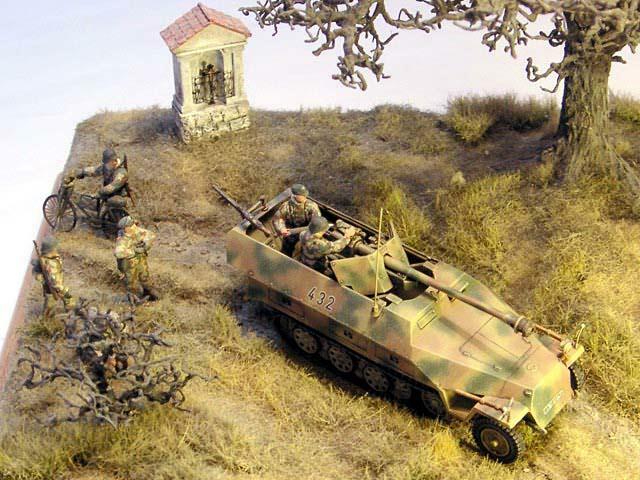 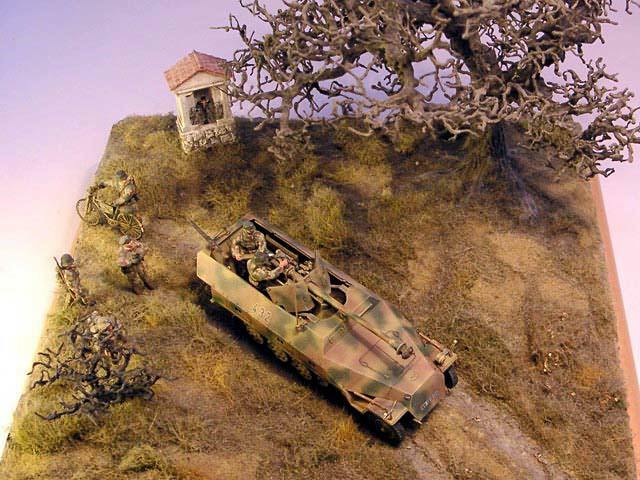 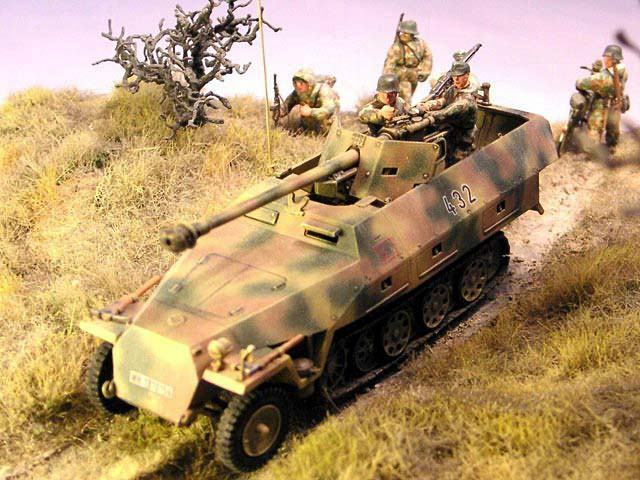 This model of Sd.Kfz.251/22 built from Hasegawa kit is shown separately in gallery of Axis vehicles. 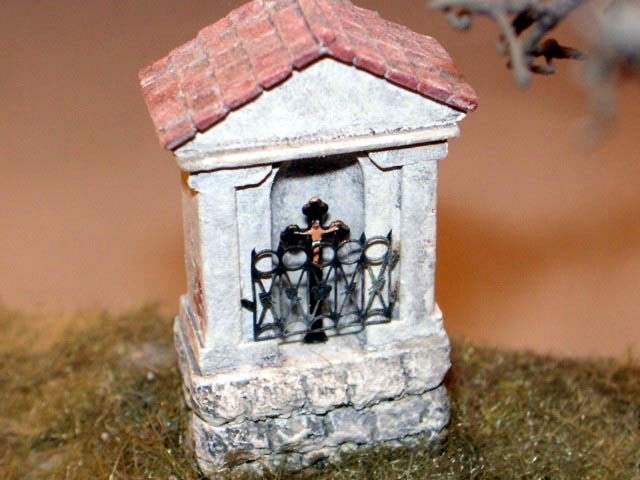 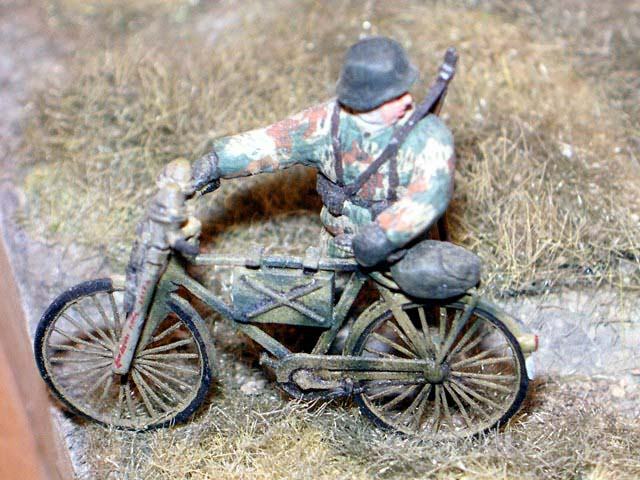 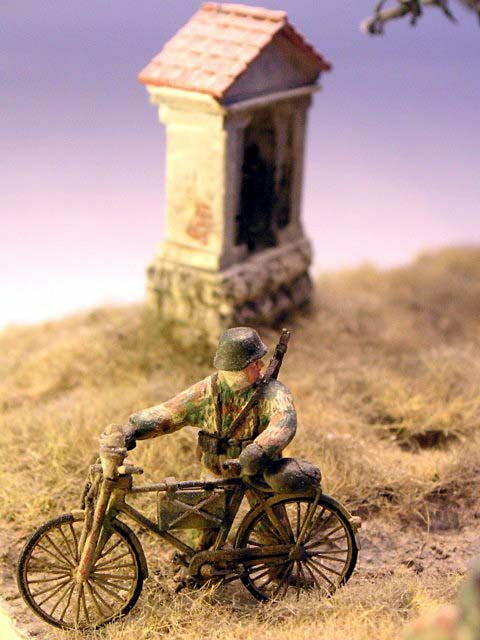 The bicycle is from etched set from SM8, just with two Panzerfausts added. 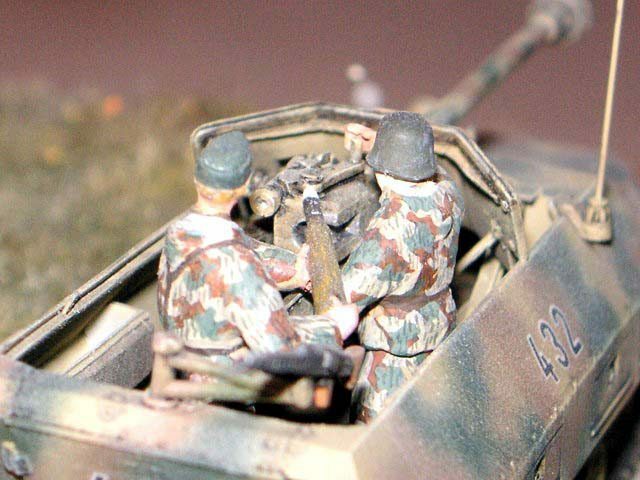 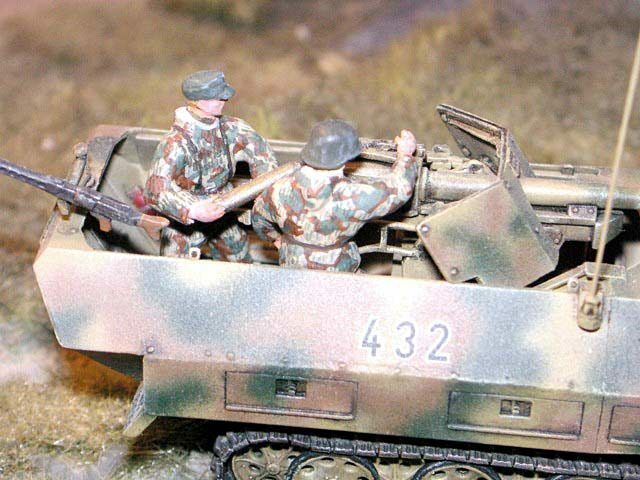 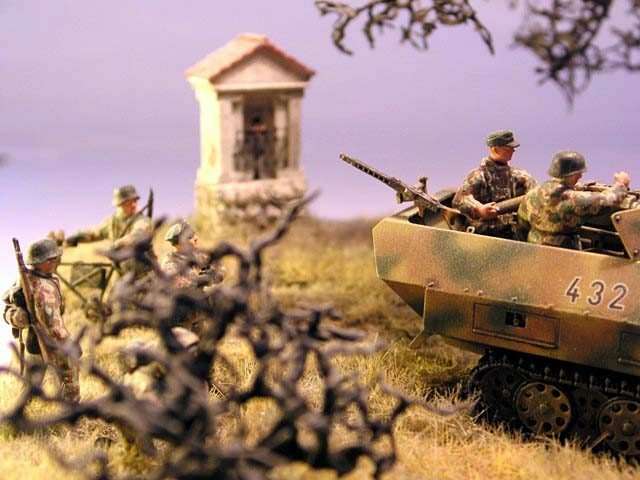 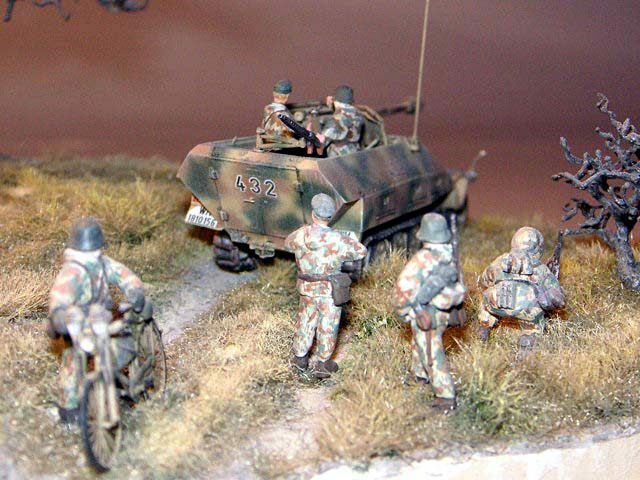 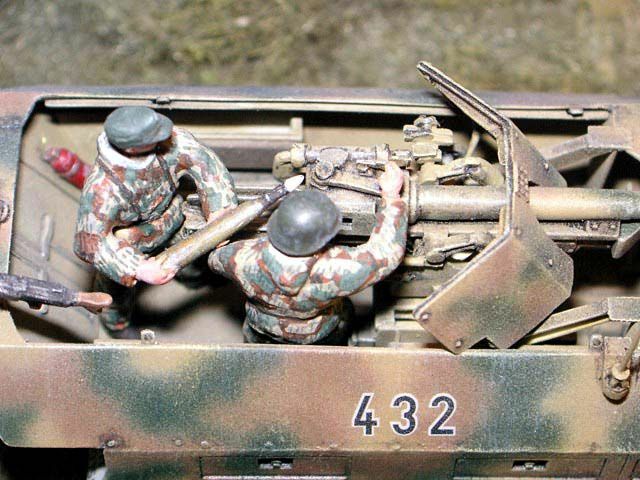 The figures are converted from ESCI Nebelwerfer crew. 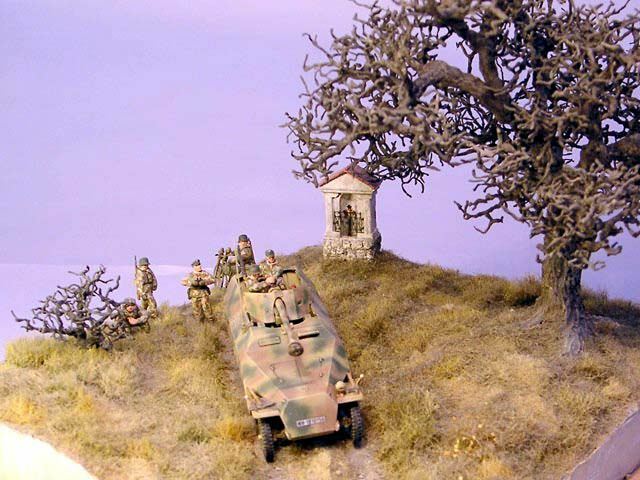 The tree and bush are made of wire. 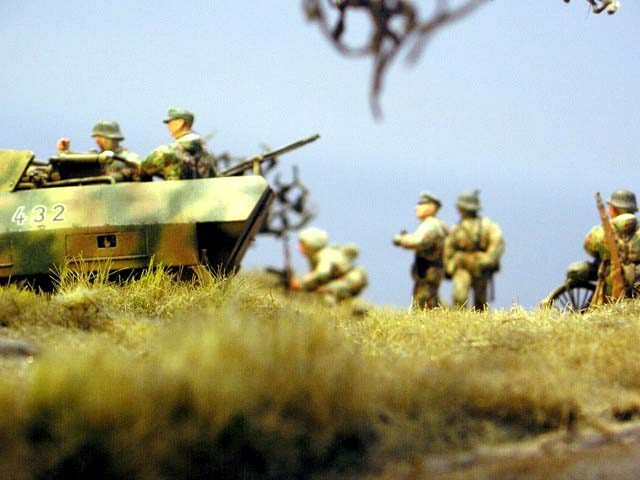 The grass is mostly from Silflor and some also from Woodland Scenic.